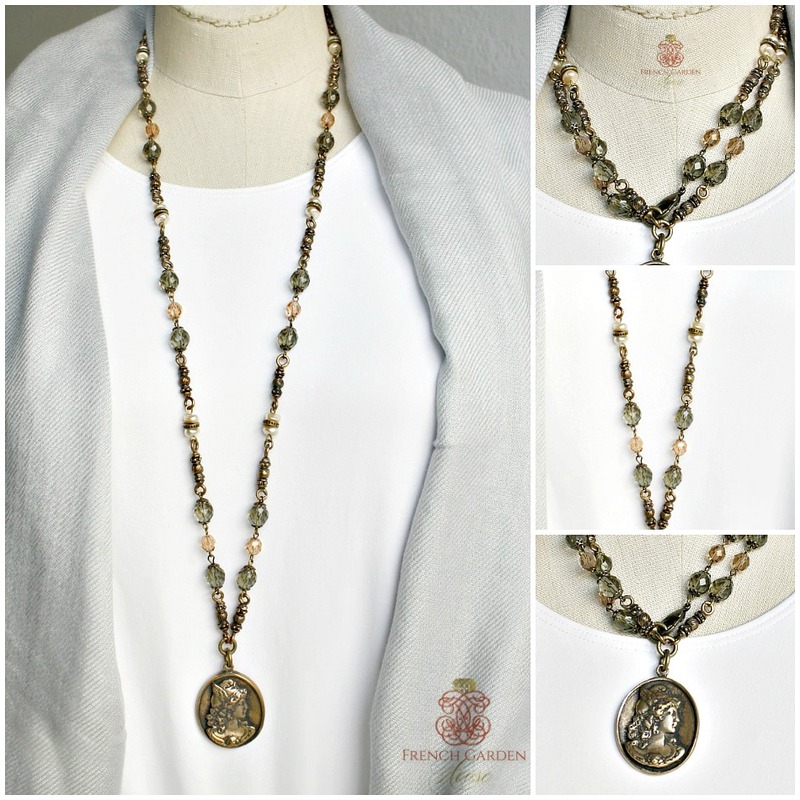 Express your own personal style with this one-of-a-kind artisan created necklace featuring a bronzed pendant. So versatile, you can wear this necklace doubled, or single. 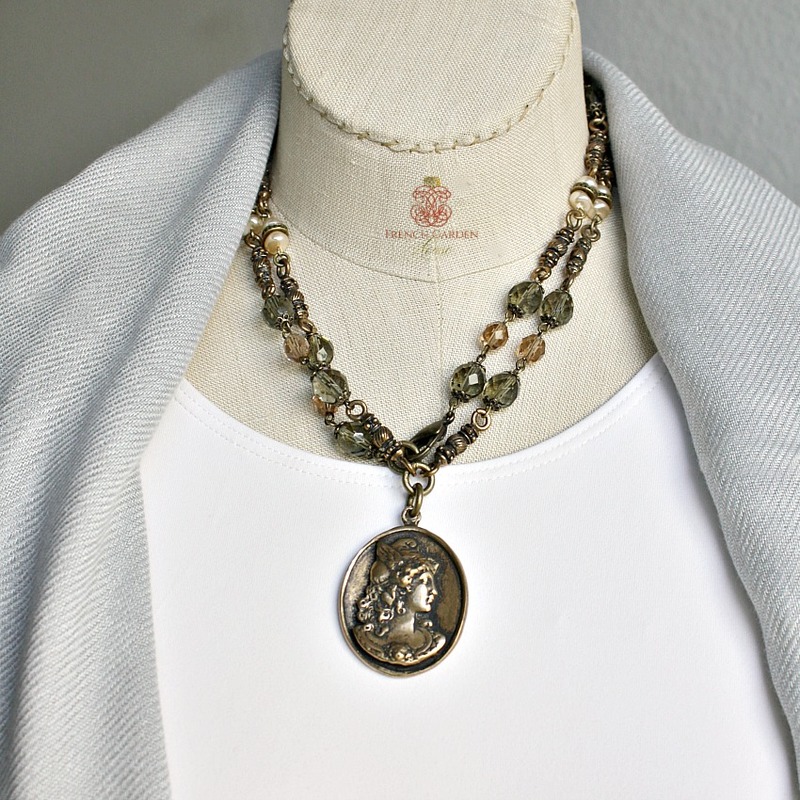 Gorgeous hand made chain studded with soft vintage sage green and apricot pink Czech beads with faux baroque pearl accents. Made in her studio in the USA by jewelry artist designer Georgia Hecht. Those of you who love and collect Georgia Hecht's pieces know she has great talent for creating one-of-a-kind sophisticated jewelry. If you love feminine, romantic jewelry will want to add this to your collection this season. 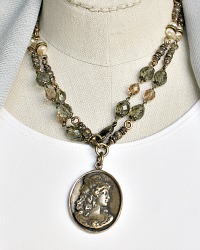 Measures:chain:34"; Pendant: 1-1/2" x 1-1/4".